The Master Lock No. 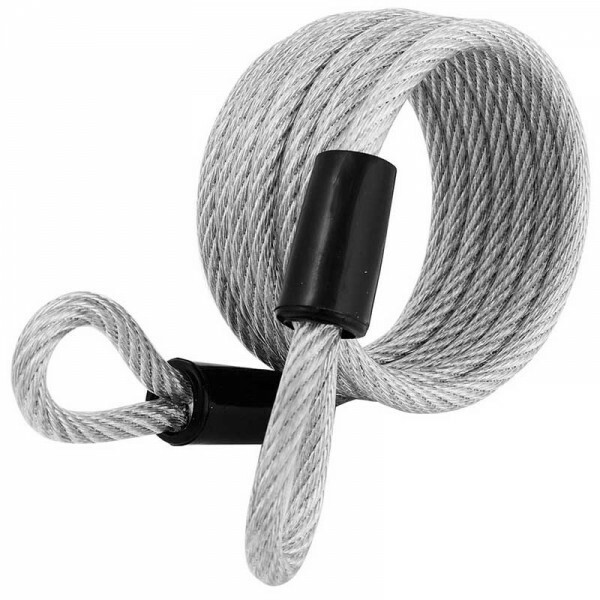 65D Looped End Cable is 6ft (1.8m) long and features 1/4in (6mm) diameter braided steel for maximum strength and flexibility. The protective vinyl coating protects against scratches. This cable is recommended to be used with laminated locks, solid steel locks, and mini-U-locks; to secure large or bulky items. The Limited Lifetime Warranty provides peace of mind from a brand you can trust. Self coiling for easy storage. Ideal for securing large or bulky items. Recommend for use with laminated locks, solid steel locks and mini-U-locks.